This week, we’ve got several fresh beers coming to the local taps, and the part you’ve all been waiting for: St. Paddy’s Day events! A few more events are popping up this time around as well, and there should be plenty of green beer around town for the occasion. In extra-exciting news to us here at the magazine, our longtime friends, Legend Brewing Co., are celebrating a quarter of a century and 25 trips around the sun this year. To add to the occasion, they made the cover of VA Growler this issue, and we couldn’t be more thrilled for their anniversary party coming up next month. Be sure to head over to Manchester for Legend’s birthday on April 13, and don’t forget the kids and the pups. Coming up tomorrow (aka Pi Day, and my mom’s birthday — who consequently isn’t really into pie?) is the return of Defenestrator to Ardent Craft Ales. The annual brew has made its way back to the taps, made in collaboration with The Cask Cafe in The Fan. This ruby-brown lager doppelbock is a fan favorite: clean, full-bodied and full of a malty aroma with lesser fruity notes. Its flavor is on the nutty side (ditto), and its bready sweetness finishes off with a crisp feel for an easy drink. It’s 8.7%, so it’s a great way to dive straight into Thirsty Thursday. The next day, head over to Hardywood for Fresh Can Friday’s Dreamlike can release. This perfectly-spring brew is a pillowy-soft DIPA that’s “bursting with tropical flavors” to get you warmed up for the warm weather we’ve been so luckily experiencing all week. Nice temperatures are set to continue into the weekend, so if you’re as excited as we are for the sunny days, Dreamlike is the perfect tip-of-the-hat to the season. If you’re not-so-ready for the heat to return, grab a pint of Hardywood’s Apple Brandy Wee Heavy at its release on Saturday for a burst of the best fall flavors. For those of you looking for more of a triple-whammy, The Veil Brewing Co. just released three beers yesterday: Step Dad³, ?, and American Luxury, in addition to the return of Crucial Taunt. I’m glad to see Crucial Taunt make its way back, because not only is this DIPA packed with awesome flavors with an extremely hoppy, juicy taste, it’s named after the band from Wayne’s World (one of the best movies to come out of the early 90s, obviously). Wayne’s girlfriend, Cassandra, plays in the punk band and is featured performing in the film. Grab a taste while you can, and check out their fresh releases like “?” — answer that for yourself when you give it a try. In more new-brew-news and big releases, Final Gravity Brewing Co. is dropping a double-beer special on Friday. Ancient Mariner Gose and Low Earth Orbit DIPA are fresh to the taps this weekend, with Ancient Mariner coming back for more after its original release. The long-awaited return will catch you “by the spell of this refreshingly-fruity brew, with the perfect balance of tart and a tinge of saltiness,” and flavored with fruits like raspberry, blackberry, passionfruit, and mango at 4.5%. Low Earth Orbit DIPA, on the other hand, is made to enjoy after a heavy week, according to Final Gravity — the 8% Double IPA is flavored with passionfruit, grapefruit, and lime to “elevate your spirit and lighten your mental load”….. And isn’t that perfect for the end of the week? To keep the festivities going, celebrate all week long with Strangeways Brewing Company. They’ll have a special Lücky Charms beer ready in crowlers, growlers and grunts as well as shows and Intergalactic Taco celebrations throughout the week. Head over for live bagpipes and brunch with Spud Bucket for St. Patrick’s Sunday, where you can either keep the party going or recover from the weekend with the hair of the dog — in true Irish fashion. For Saturday fun, check out the 6th Annual St. Patty’O Crawl with Southern Railway Taphouse and Shiplock Brewing. 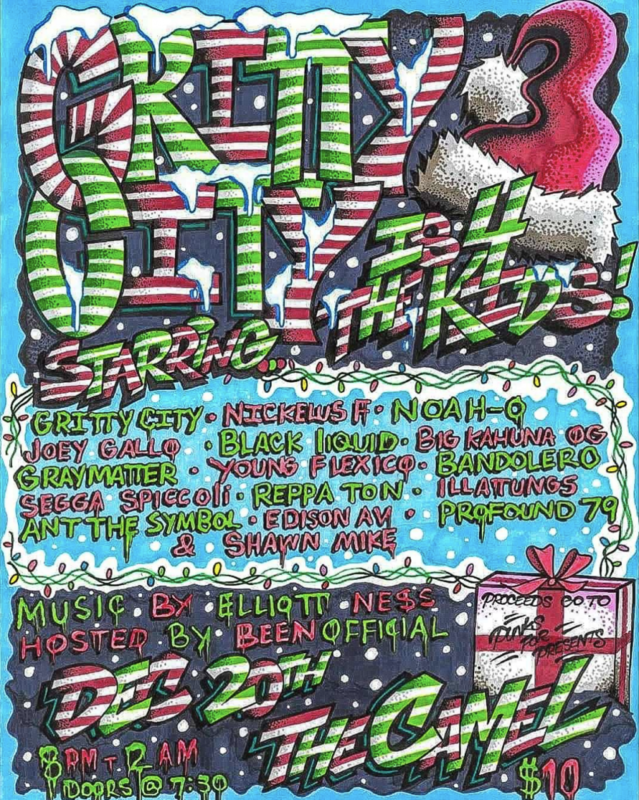 Make your way down to Shockoe for probably the most “lively” part of the city for this holiday every year, with tons of live music and beers galore. A note from the breweries: “We know it’s PADDY but it’s on our PATIO,” so hold the “well, actually,” bros — we see you. This might be one of the best deals in the city…… $1 Green Craft Beers are starting at noon at Shiplock, so get there early if you want to grab a seat and get blitzed for the day, as many Shockoe residents do. There will be tons of awesome music to keep the party going into the night, with Zack Artist in the morning, Austin Ferguson Band in the afternoon, and East of Blueridge taking over for the evening special. The outside boundaries will be extra-big, too, so fear not that you’ll run out of room for shenanigans: They’ve got you covered. If you’re really not in the mood for all the craziness of St. Paddy’s around town, Stone Brewing Company thought ahead. Take the day off from the crowds and the city and get out into nature to help the environment. Stone’s throwing a Capital Trail Clean-Up day for volunteer groups to avoid the mess and clean one up instead. Volunteers get discounts at the after-party, a celebration dedicated to everyone who came out to help (and there’s BBQ!!) so it’s a wonderful way to still enjoy your weekend — and do something awesome — if you’re dreading the festivals. The Circuit Arcade Bar partnered up with our friends at Triple Crossing this week to create SmashDown, a giant competition in Ultimate Smash Bros to slam your competition and bring back the best days of the early 2000s (and for many of us, our childhoods) in a mario-slam-galore. Head over tomorrow night to get your shot at crushing in this seriously-beloved game, and get famous on Twitch in the process (it’s livestreamed)! The MFA Thesis Exhibition is a signature event in the VCUarts annual student exhibition calendar. The 2019 MFA Thesis Exhibition will showcase ambitious and challenging works by some of the most talented emerging artists and professionals in the country. Participating departments include: Craft/Material Studies; Graphic Design; Kinetic Imaging; Painting + Printmaking; Photography and Film; and Sculpture + Extended Media. Welcome, RVA Mag readers, to the greatest time of the entire year: We’re about to get all kinds of spooky in this. I have worked hard to gather to you, my dear Halloween-excited ghouls, a laundry list of the top five best haunted houses (and one creepy-cool anniversary party) in Richmond and across Virginia. Originally formed in 2011 as the Red Vein Army, then officially opened in 2016, Red Vein exploded as one of the go-to Halloween experiences for Richmonders. Not only is the actual haunted house hosted on Hanover Vegetable Farm with realistic sets and a storyline (That’s right, character development up in this. Oh yeah), there is an escape room as well. Oh, and a horror book club. And a horror movie club. Red Vein has so many different tricks and treats, you might as well camp out and make it a whole day of it. Den of Fear pulls off a rarity: Having a haunted house inside the city limits (let alone a great one). Housed in VCU’s Dogtown Dance Theatre, Den of Fear is only a year old — but with its intense visuals and high-energy actors, it’s pulled praise from even season-haunters and experienced scare-fessionals. While you’re waiting in line at the VCU spot, you can bond with other students about how terrifying student loans are (or how comfy that one study room on the third floor is to sleep in). Creepy Hollow gives you three options to have a heart attack: Scream Forest, if you need the ol’ relaxing hobby of “screaming out your stresses of the day.” Staple’s Mill, because nothing’s better than a clear Richmond pun (and mills as a whole are generally pretty creepy). Finally, Axl’s Fun House for those who always wanted to be in that one episode of Are You Afraid of the Dark? — where Bozo the Clown had his own theme park to trap children in. See? Fun for the whole family! Clowns! They’re just like us! Creepy Hollow is located just ten minutes outside of Short Pump, so after you build your rage up on that 5p traffic, you can release it by screaming your lungs out into the abyss. Not only is Darkwood genuinely terrifying, but it is one of the most unique locations on the list. Darkwood Manor is more than 17 years old, based on a real Darkwood Manor location (and family! There was a real Darkwood Family! ), but during its off-season, the crew creates makeup and props for film and television, and even makes the masks and costumes for other haunted houses. For this month, the current theme is The 80s Horror Films of Ed Darkwood, because if you’re going to go spooky, you might as well go full Stranger Things. Just ask Will Byers. Forests are always spooky. You never know if you’re going to run into a murderer — or a vengeful spirit, or a pile of PBR cans that could have obviously been recycled (Come on guys, we’ve got until 2040 to get this together. Show some respect). The Laurianne Woods blend its frighteningly beautiful cinematography and storytelling with simple, wholesome figures like children and bunnies: to make it one of the must-see events in Virginia that will send ice down your veins like a Camp Crystal Lake Swim Team. While not a haunted house per se, Frankenstein’s 200th Anniversary still takes place in a historic house! (Old means ghosts! Kind of!) On October 27th, The Wilton House is holding an anniversary party for Mary Shelley’s Frankenstein. 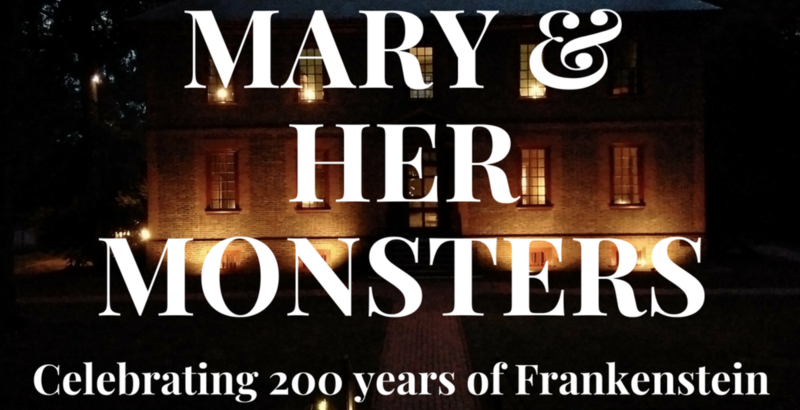 As the first of Wilton House’s Plays in a Passage series, “Mary and her Monsters” will tell the story of Mary Shelley and how her beloved monsters came to be. If your stomach isn’t aching from all of the BooBerry and Count Chocula cereal you’ve eaten this week, while downing a pint of whatever pumpkin-spice-latte-IPA is on tap at your neighborhood haunt of choice, crawl on out to one of these spooky joints. I promise you, Hocus Pocus and Troll 2 will still be on rotation. Throw on your spider onesie and take a break. You’ve earned it. The best season of the year is back, and so is the best week to celebrate it. 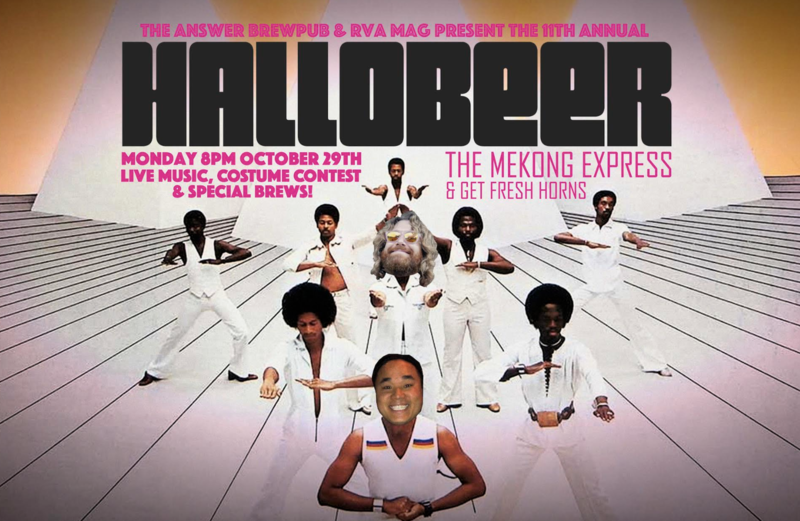 Every year, RVA Magazine and Hardywood Park Craft Brewery team up for Halloweek — a weeklong Halloween celebration across the city, with everything from public horror movies to punk-mixed Thriller tracks, Monster Mashquerades, and zombies lurking through the streets. Halloweek 2018 kicks off tomorrow, October 24, at Hardywood’s Richmond location. Pre-events start tonight, and spooks run every day ’til Halloween. Don’t forget to #RVAHalloweek2018 so we can see all your best photos from events throughout the week, and tag us to feature your amazing costumes. DJ Bummers Eve will be spinning tunes from Thriller with some punk, horror, and garage music mixed in alongside Hardywood’s beer specials, horror movies, and a makeup special event. 6pm: Hardywood & Aisthesis Productions teamed up for a how-to workshop of the best Halloween makeup, which takes place during Hardywood’s Halloweek kickoff event at the brewery. Hardywood’s Haunted food truck court at the brewery, 5:30pm. Richmond Music Hall at Capital Ale House, 7pm. Capital Ale House Richmond, 6pm. WRIR 97.3 FM’s Monster Mashquerade with The Camel, 8pm. Trickery Release Party, 1pm-10pm, FREE. Murals at the Virginia Museum of History & Culture, 10am. Hardywood Park Craft Brewery, 2pm. $100 Ellwood’s gift card will be awarded to 1st place winners! Categories: ‘Best Steward Costume’ and ‘Best Customer Costume’ chosen by popular vote on Facebook November 1st – 4th. Meet up at Monroe Park, dress up! 7pm. A huge thank you to our local venues, friends, and sponsors!